I hope everyone had a lovely Mother's Day weekend! We celebrated with a "Make Your Own Pizza" Party, which was so much fun and brought the family together but also made me wish Madalene was there to help celebrate. She was more of a Mother to my mom and her siblings than she was a grandmother to them and helped shape them all into incredible individuals to whom I'm proud to be related. I'm pretty spoiled to have such wonderful mothers in my family. If I ever become one, I know that I've had quite the loving and supportive example anyone could every have. Speaking of fabulous Moms, I'm so excited to announce my first Giveaway! Aside from my family, Giada de Laurentiis and her cookbooks are a big part of what helped me become passionate about food and cooking. Her recipes are easy, so tasty and make you feel like you just stepped into Rome! 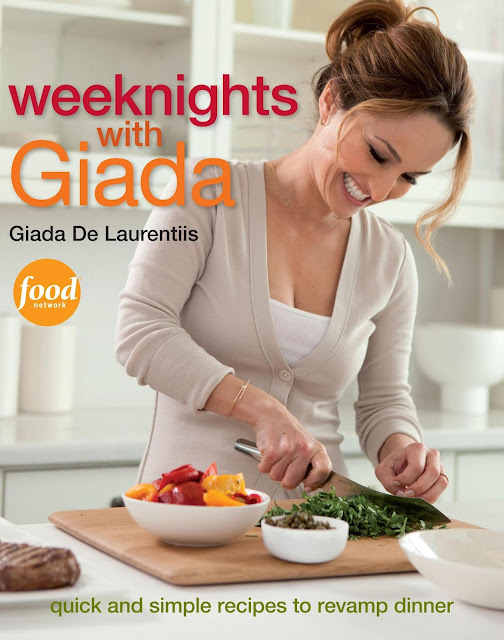 Today I'm giving away her latest cookbook, "Weeknights with Giada". 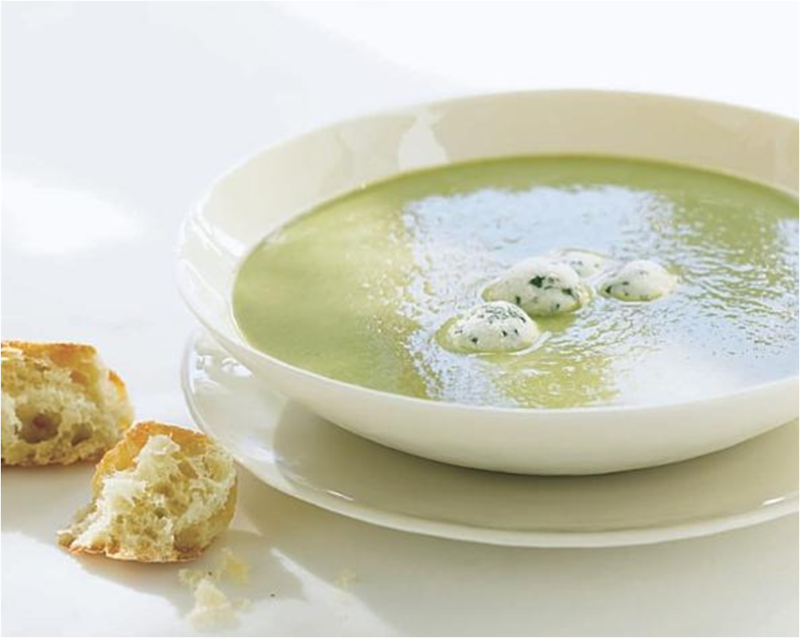 I can't wait to try this Creamy Sweet Potato and Rosemary Soup. And this Grilled Cheese with Spinach and Pancetta! How many of us get home from a long day of work and dread stepping into the kitchen to make dinner? Giada's recipes from this book alleviate that mood and help make cooking during the weeknight an easier and fun task. So, what do you have to do to win this book?! A winner will be chosen at random tomorrow. Good luck! Yum! It's always fun to have new inspiration when it comes to food. Great giveaway! 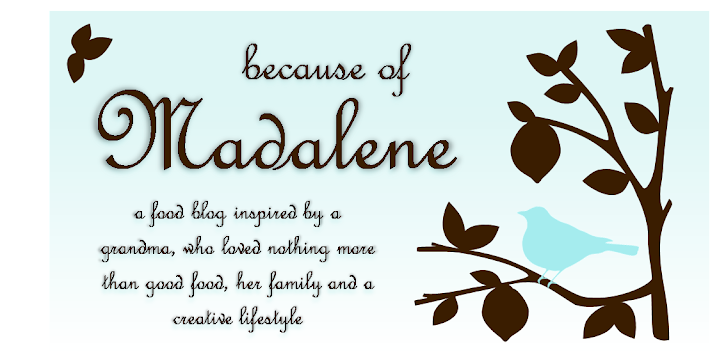 I am so glad I stumbled upon your blog. What a lovely bunch of ideas you have! I love Giada too and have a busy family to feed. Would love to have Giada's book on my shelf - a book destined to be stained with saucy fingerprints! Yum! I hope I can win! 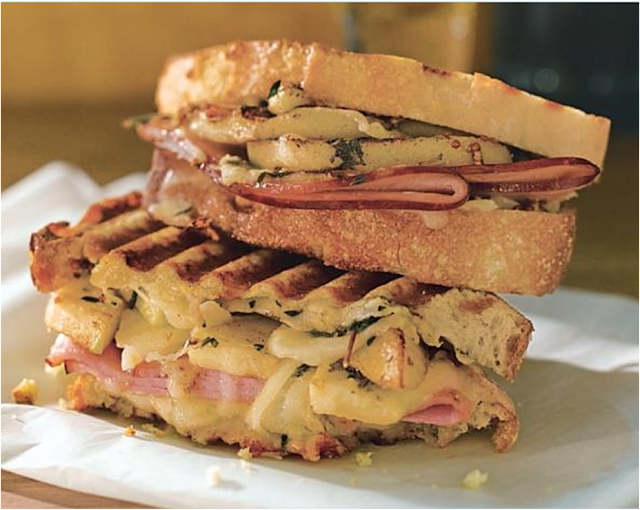 The sandwich looks yummy!!! Would love to have Giada's book. Seems like there is less time in my day. Thought when the the children left the house, there would be more, NOT EVEN. The poor hubby, cooks more then I do. I love her show. I hope I win. Who doesn't love Giada. I am a new follower to your blog and am going to try the nutella strawberries. I made Cheesecake ones today. Great book, great giveaway! Thanks so much!